Puschkin souvenir sheet 1937, Pretty on appropriate Jewelry-envelope, as R.-Brief from Moscow from 25. 5. 39 to Switzerland used. At back. 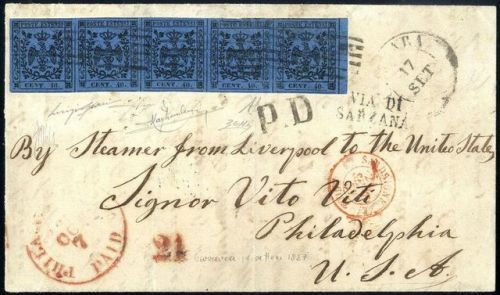 With additional franking and arrival stamp, the reverse letter lid is absent.